#FoodReviewing: Strolling Around The Botanical Gardens Metro Station, We Found Mr Brown Bakery! It’s generally said, ‘Be careful what you ask for’ and very vigilantly we asked for a good bakery in town. Who knew our prayers would be answered within a snap of time. A little stroll around the Botanical Garden Metro Station will guide the way towards this hidden gem! You can tell that you have reached, thanks to the enticing fragrance that surrounds the café. Irrespective of how it looks from the outside, the place is spacious and is spread out on a large property. As you enter, on the right is the counter where all your delicacies can be ordered. They also have their own range of breads, cookies and chocolates to choose from, which are displayed on the left corner. Though it’s capacious, there is little room for the seating area. The designer has made sure that the bakery is able to flaunt each and every item it has in its kitty to offer. The layout focusses more on the display of products, including gift hampers, a collage of different bakery items, chocolates and cakes. Giving keen competition to their peers, they also specialize in customized cakes. Apart from the bakery items, other things that found their way in the menu includes stuff like pizzas, pasta, sandwiches, wraps, burgers and drinks (wow!). After milling about in the bakery, we finally made up our minds to gorge on these dishes! Being burger fanatics, our expectations were a tad high with this item, and we’re happy to say that it lived up to our expectations. 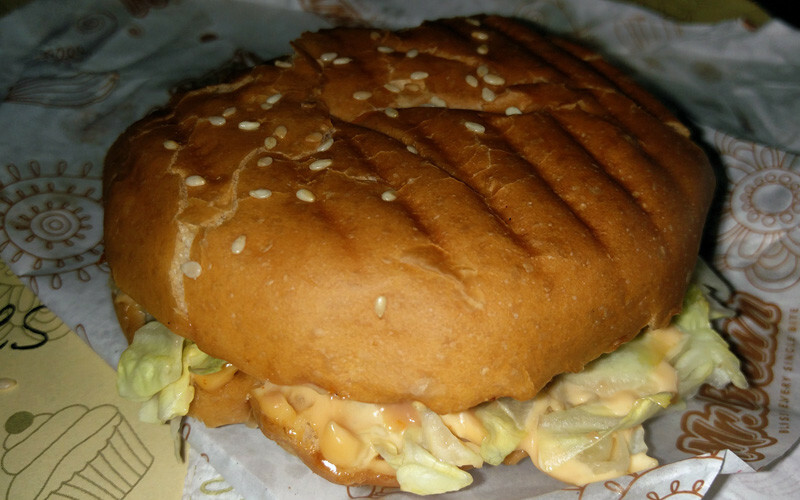 Though it tasted different from normal genres of burgers, yet it had its own unique way of satisfying our taste buds. Commencing form the buns, they were brushed with butter before being grilled. As the name suggests, the tikki was roasted and not fried, the striking feature being that it still maintained its character and taste. It had mashed potatoes, minced onions, carrots and peas. It was squashy on the inside with a perfect crisp outside. Between the buns and tikki we had lettuce, onions and tomatoes with mayonnaise and Thousand Island dressing. Needless to say, it’s a must try item on their menu! We were dispirited by the fact that only two options were available in the sides section, just French Fries or Potato Wedges! The latter being our obvious choice was ordered. However, we let go of all our qualms once the wedges were presented to us! The potato slices were first tossed with multiple spices and left for a few minutes before deep frying (generally, it’s the other way around!). The wedges were served with jalapeno dip. 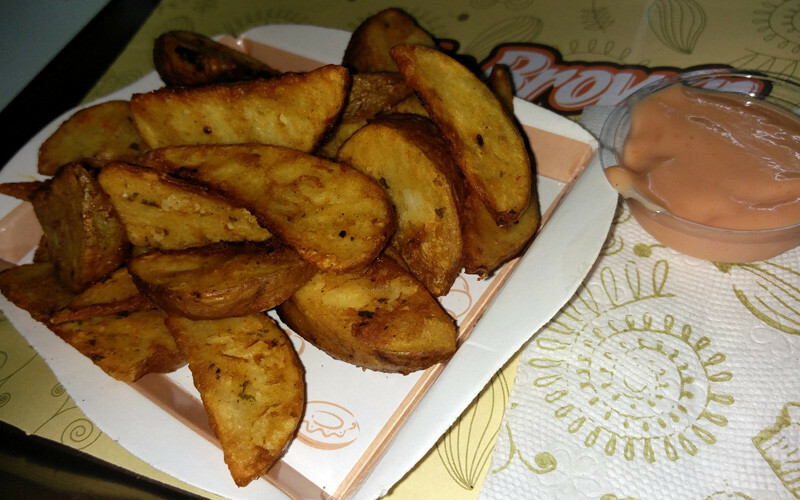 We were swayed by the crunchiness of the wedges on the outside and the mushiness of the potatoes on the inside. Though the quantity seemed decent, the quality is definitely worth praising! This item was a treat to our eyes and our soul. We were sceptic about ordering this item at first, but it proved out to be one of the best decisions we made! The chef asked us if we wanted full boiled or half boiled pasta (not everyone does that!) which was very courteous of him. We went with the full boiled option. The cream was velvety with hints of cheddar cheese in it. 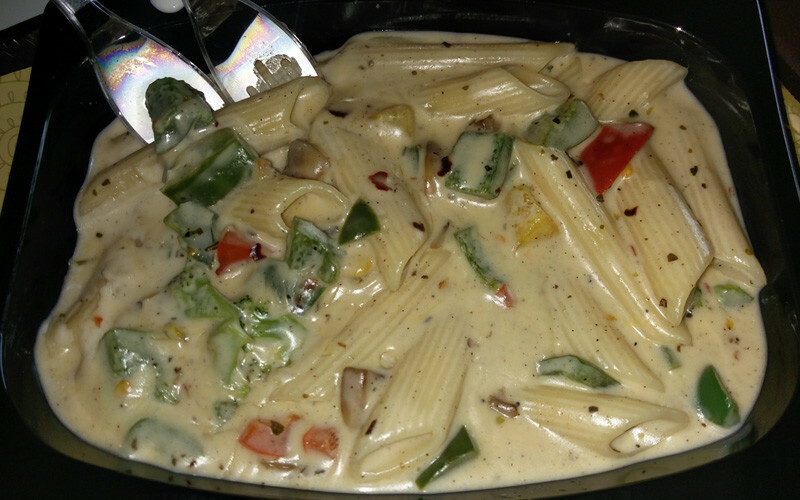 Along with the penne pasta, it had broccoli, bell peppers, corn, capsicums and mushroom pieces, minced and present in a good quantity. Again it was a delight to taste. Though they served ample quantity, we still felt strong on our pockets ordering it. The bakery boasts about serving one of the best mojitos! Going by our food experience, we were convinced and ordered the same. However, we beg to differ by a large variation. The drink came to us in a span of seconds, bringing smiles to our faces. These were soon lost by the first sip. It felt like plain soda mixed with sugar syrup. They were courteous enough to redo our drink, which got better, but still lacked the essence of a Virgin Mojito. Apparently this time they used Sprite as their base for this drink. 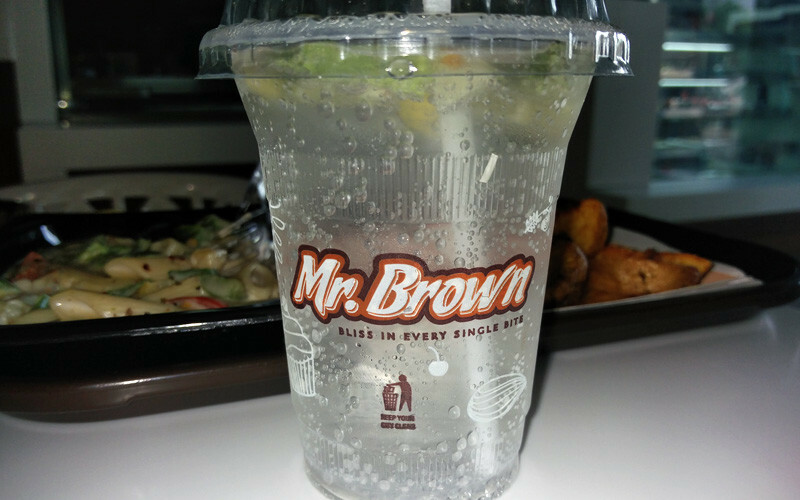 It was a complete letdown and we were hesitant on ordering any other beverages from their menu. Overall it’s a highly recommended place to have small bites on the go or to cure those sudden hunger pangs with scrumptious food. It’s more of a one-stop-shop for all genus of bakery items and with the festivities in the air, this is the place to be. After saying all this, we would also say - order drinks at your own risk!